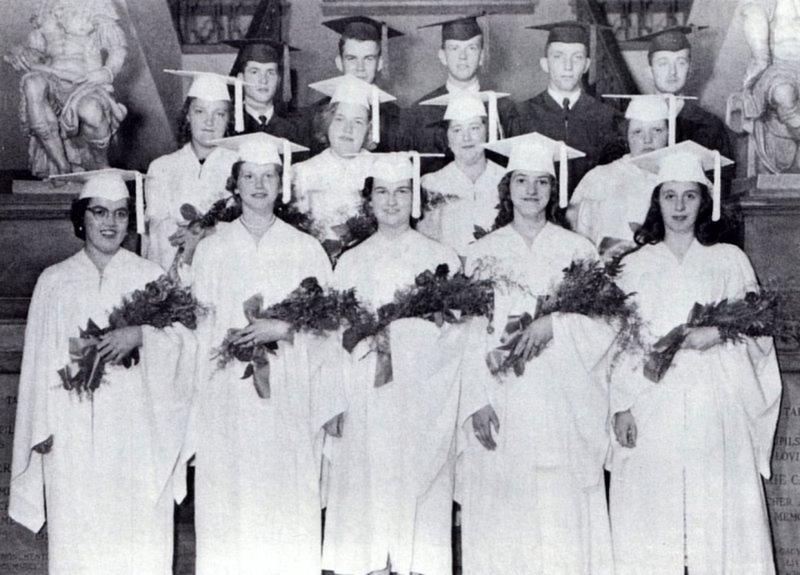 1st row: Flossie Whitmarsh, Vivian Sharpstene, Lorraine Noble, Betty Tupper, Janet Matthews. 2nd row: Gloria Mackin, Elizabeth Clarke, Arlene Bigwarfe, Dorothy Clarke. 3rd row: Winston Gotham, Norman Caswell, Gerald McCarty, Garcia Morrow, Chester King.